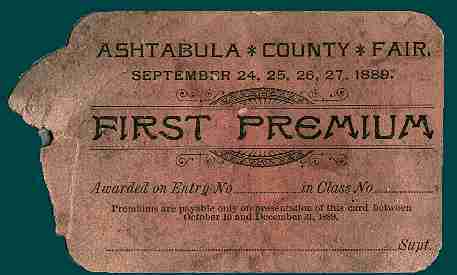 On October 30,1822, a group of pioneer citizens met at the old brick Court House in Jefferson to form the Ashtabula Agricultural Society. 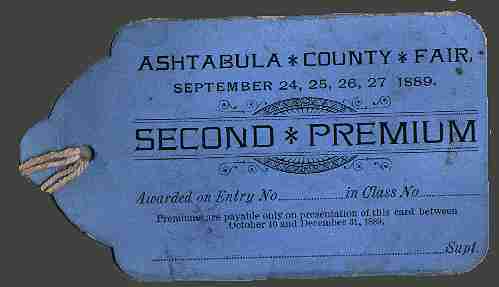 From the small group assembled, a committee was appointed to draft a Constitution for the Society, whose purpose it was to promote the interest of agriculture in the forest covered land of Ashtabula County. At the first annual meeting held January 16, 1823, Nehemiah King was elected President; Eliphalet Austin, first vice-president; Edward Fifield, second vice-president; Matthew Hubbard, corresponding secretary; Jacob Austin, auditor; and Timothy R. Hawley, treasurer. 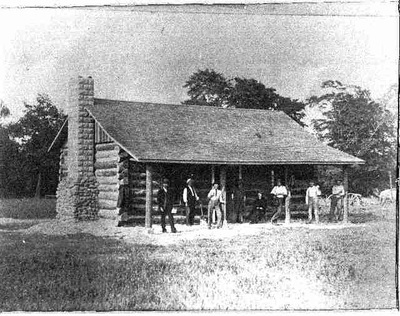 The First Annual Cattle Show and Fair was held in Austinburg on the first Tuesday in October, 1823 featuring a total of $40 in premiums. The top prize of $10 was awarded to Jonathan Warner for the best improved farm of 50 acres. Mrs. Cybelia St. John won the first prize for the best grass bonnet in imitation leghorn. The Cattle Show and Fair was repeated the next year in Austinburg and in 1825 moved to Ashtabula, in hopes of attracting greater interest; but the response was not successful and in 1826, the Fourth Annual Cattle Show and Fair was held in Jefferson. 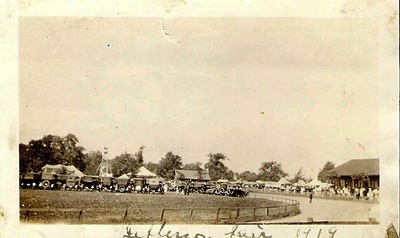 The first Fair in Jefferson was held on the town square with livestock displays tied to the hitching posts in front of the Court House. The people of Jefferson failed to support the project and the fifth Fair was planned, but never held. The Society's activities ceased for the next 15 years. On March 7, 1842, the Ashtabula County Agricultural Society was organized under the leadership of R. W. Griswold. The First Annual Fair was held at the Court House on October 15, 1842. Mr. Griswold had this to say in his annual report: "While public attention in our day is so divided and directed to so many different objects, each claiming such a share of time, means and energies of individuals as to prevent any one being fully attended to, this Society presents a common platform where the whole community can rally as a citizen of common course and as a friend." A special meeting was called on June 25, 1846, and the Society, as formed in 1842, was dissolved "for want of interest taken by the citizens of the county." On September 12, 1846, in answer to an appeal made by the Ashtabula Sentinel, a second organization was formed under the new regulations of the State Department of Agriculture. The First Annual Fair of the re-born Society was held at the Court House on October 16,1846. 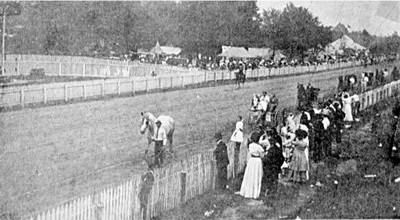 The present fairgrounds was acquired in the early 1850's. The records show in 1854 the Society expended $2,500 to erect an Agricultural Hall and other improvements to the fairgrounds. The Fair of 1858 drew a total of 5,000 people. 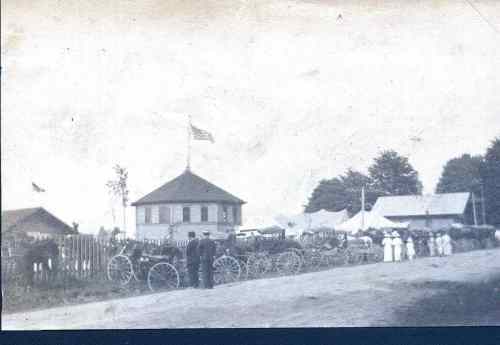 In 1861 the fairgrounds was turned into an Army Camp, known as Camp Giddings, where 1,500 men from Northeastern Ohio were camped. On Christmas Day they marched from Jefferson to Ashtabula where they were entrained for Columbus and were mustered into the Union Army. The 29th Ohio Volunteers were engaged in some of the most severe fighting of the Civil War. The first race track, a third of a mile oval, was built in the early 1870's. In 1914 a balloon ascension was the highlight of the fair. In 1915 the newly built log cabin was dedicated. The logs for the structure were given by or in memory of local pioneers who had been born in a log cabin. Expansion and improvements proved impossible as a private concern, so sometime in the 1920's, the County took title to the property, but left it under the control of the Agricultural Society. The 1945 Fair featured a display of 2000 German and Japanese mementos in the Octagon Building, souvenirs of local servicemen returned from World War II. VJ Day in 1945 brought one of the largest single day attendance records when 14,000 people jammed the midway. The "Centennial Fair" in 1946 brought many improvements to the fairgrounds including the first paved midway. The 100th Ashtabula County Fair featured a historical parade with every township represented and a pioneer exhibit in the Octagon Building displaying relics of early settlers and a photographic display of the county's history presented by the Historical Society. 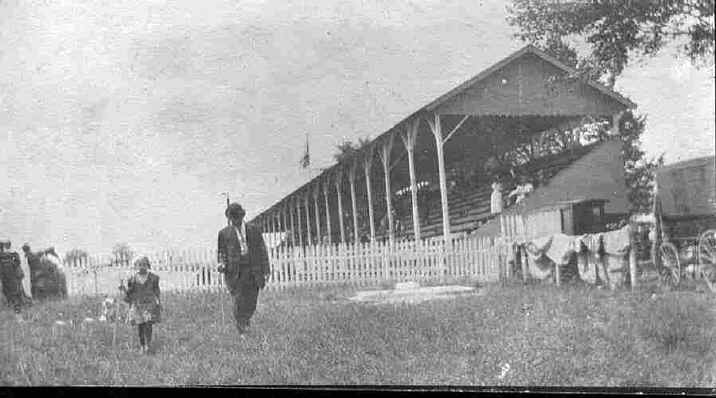 In June 1956 the new grandstand was completed by Southern Bleachers Construction Co. of Graham, Texas. The 1980's saw a burst of growth at the fairgrounds with many new facilities added including the Small Animal Building, Concession Office, Sheriff Patrol's Office, 4-H Saddlehorse and Draft Horse Barns, Entertainment Pavilion and Market Animal Barn. The years have seen a lot of changes for the Ashtabula County Agricultural Society, but the goals of the Society remain constant: "to promote the encouragement of agriculture, horticulture, and the rearing of better livestock, improvement of domestic science and art, promote general community betterment, together with all other commercial and educational interests of the county." With the support and dedication of local citizens the society has been able to continue their work to attain these goals as well as to provide a fun and exciting annual event for the community to enjoy. This History includes information from articles by Arlie Keel and Catherine Ellsworth.